Poison Ivy is back and in a big way. The start of a new story in Batman #41 revealed that Ivy had been able to expand her power beyond controlling nearby individuals to the entire world with her plant-based pheromones. With only Batman and Catwoman safe from her influence and the entire Justice League at her command, things are looking very bad. It’s a substantial expansion of Poison Ivy’s role in DC Comics, transforming her from a local threat to a global one. Whatever comes next, this story seems bound to heighten Ivy’s stock. That also makes it seem like the perfect time for a refresher course on one of Batman’s greatest foes. So read ahead for a beginner’s guide on the origins, history, and best stories to feature Poison Ivy. Poison Ivy first appeared in the 1966 story ”Beware of -- Poison Ivy!” in the pages of Batman #181. Her first appearance lacked many of the key characteristics fans know today, but did pose her as a plant-based femme fatale. In her initial appearance, Ivy was based on the appearance of Bettie Page and her narrative on “Rappaccini’s Daughter”, a Nathaniel Hawthorne story in which a woman becomes toxic to the touch. The most notable items of Poison Ivy’s first appearance were the duo who co-created her. Writer Robert Kanigher was one of DC Comics’ stars of the Silver Age, having helped to start it with the creation of Barry Allen. He was also known for his work with Wonder Woman on a run that lasted more than 20 years and led to him introducing more women to DC Comics, like Poison Ivy. Artist Sheldon Moldoff is known as the primary Bob Kane ghost artist, drawing many of the stories that Kane would take credit for. His contributions to the world of Batman were enormous. In addition to Poison Ivy, Moldoff is credited with co-creating the likes of Batgirl, Batwoman, Mr. Freeze, Ace the Bathound, and a whole lot more. Poison Ivy was originally named Dr. Lillian Rose. She was brought into the schemes of another professor who later poisoned Dr. Rose after believing she might reveal their theft. Dr. Rose survived the poisoning and found herself now immune to plant toxins and reimagined herself as a temptress who could take revenge on the man who betrayed her and others. The villain remained a minor foe of Batman throughout the Silver Age until she was reimagined following Crisis on Infinite Earths. In 1986, Neil Gaiman conceived a new origin and set of powers for Poison Ivy in Secret Origins #36. Ivy was renamed Dr. Pamela Lillian Isley and her background was based in botany. She had been raised by distant parents and took solace in gardening. Before her transformation, Ivy was associates with both Alec Holland (who would later become Swamp Thing) and Jason Woodrue (who would become the Floronic Man). Gaiman recast the character as someone who felt more affinity and trust with plantlife than mankind. This transformation would continue as Poison Ivy became an increasingly sympathetic character in stories like “No Man’s Land”. Her interest in conservationism became more central and her hatred of mankind was focused on adults and scientists who spoiled the planet. Ivy would take on an anti-hero role when teaming up with Harley Quinn and Catwoman. More than once Ivy has sought peace by leaving mankind behind only to have her paradises spoiled. Her powers also expanded, providing her with influence that bordered on mind control and an array of deadly plants that could move and act like monsters. Recent changes made in the New 52, like the addition of a skin condition and an abusive father, have been ignored in the wake of Rebirth and appear to play no role in the newest Batman stories. 1. 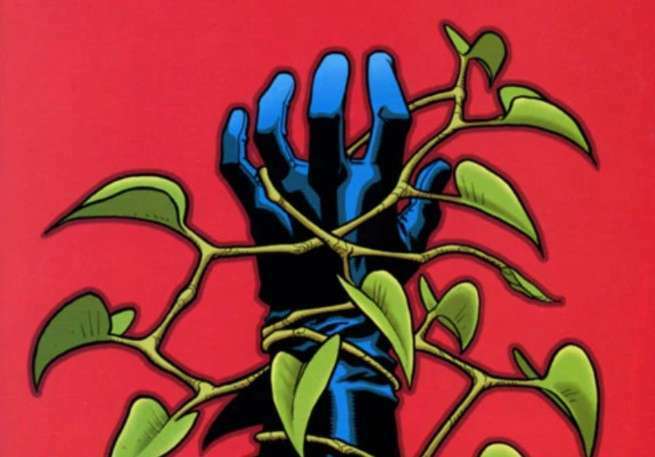 “Pavane” in Secret Origins #36: This is the story in which Neil Gaiman reasserted Poison Ivy’s place in DC Comics and initially tied her to the Suicide Squad. It works as both an origin story, as she tells her life story, and a source of sympathy, with her jailers revealing themselves to be untrustworthy and cruel. Gaiman’s reimagination of the character transformed her into an A-list member of Batman’s rogues gallery, complete with tragic origin and understandable motives. 2. “A Walk in the Park” in Detective Comics #751-752: This two-part story followed the events of “No Man’s Land” in which Ivy transformed Gotham City’s parks into a refuge for orphans following the earthquake. She has been caring for her plants and innocent people alike, but now the police are seeking to take the children back and burn down her deadly jungle. It highlights her sympathetic connections to humanity and how this leads to persecution by outsiders. 3. “Hot House” in Batman: Legends of the Dark Knight #42-43: This is the story of Batman’s second encounter with Poison Ivy. After being rehabilitated, Ivy is taken advantage of by a male scientist who transforms her discoveries into a designer drug, dooming them both in different ways. It focuses on how Ivy’s fate as a villain has often been determined for her and features some striking artwork by P. Craig Russell. Poison Ivy has received a wide variety of adaptations to different media. She has been seen in almost every single animated series starring Batman as well as DC Superhero Girls, Teen Titans Go!, and Young Justice. 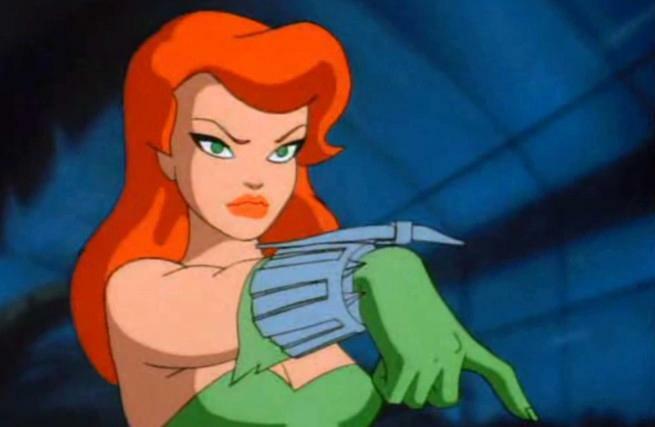 Her best features appeared in the critically beloved Batman: The Animated Series in episodes like “Pretty Poison” and “House and Garden”. Ivy has fared less well in the arena of live-action adaptations. She most recently appeared in multiple seasons of Gotham, played by Clare Foley, Maggie Geha, and Peyton List to mixed reviews and some unfortunate sexualization. She was played by Uma Thurman in the derided Batman & Robin, but Thurman’s performance in the film has received acclaim for its fun camp qualities. Ivy has also been portrayed in a wide variety of Batman-based video games, but none have received the same accolades as the Batman: Arkham series. In these games, she is generally a loner who Batman attempts to avoid. Her focus on plantlife and her own happiness make her a character with which more conversations than fights occur.